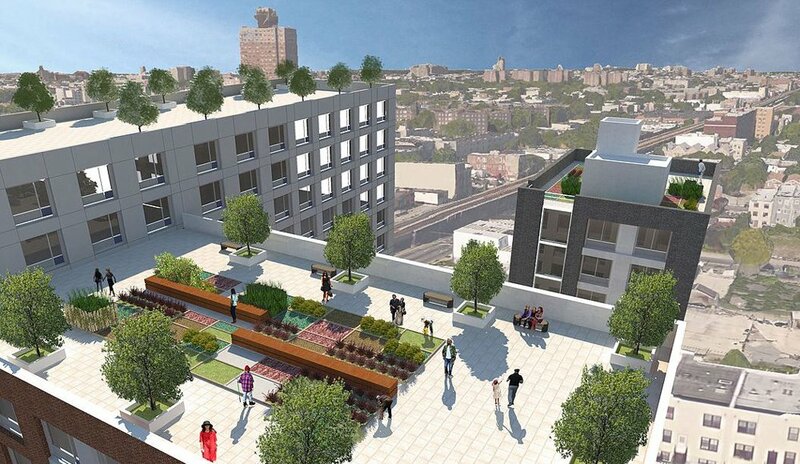 Rendering of 1921 Atlantic Avenue via Dabar Development Partners. 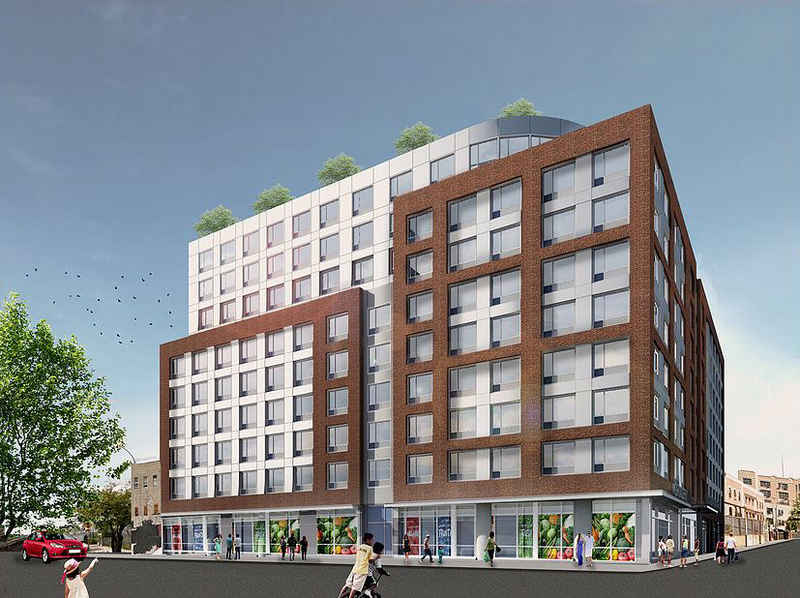 On March 27 the City Planning Commission voted unanimously to approve an application for a 14-story affordable development that will bring 235 residential units to 1921 Atlantic Avenue in Brooklyn’s Bedford-Stuyvesant neighborhood, New York Law School’s CityLand reports. 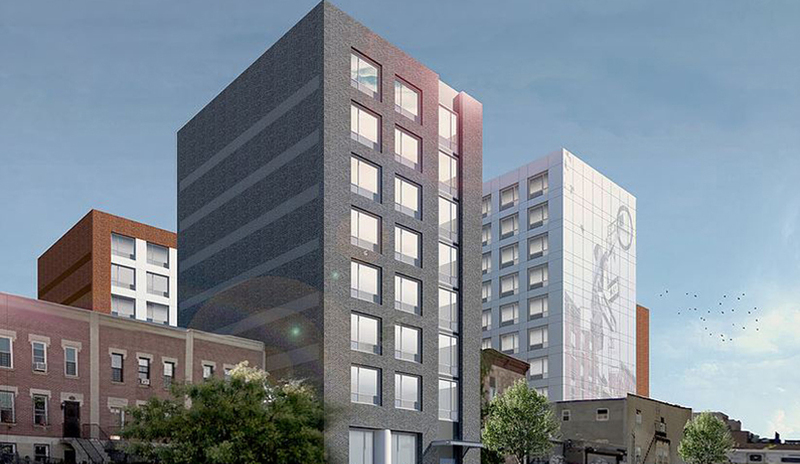 The mixed-use project is funded by private developers Dabar Development Partners and Thorobird in partnership with a program run by the Department of Housing Preservation and Development that creates affordable housing and set-asides for the formerly homeless. 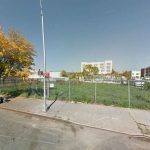 The proposed project, which will be located on city-owned vacant land and three adjacent private lots, will feature a community facility run by Oko Farms and NHS as well as a fresh food grocery store. 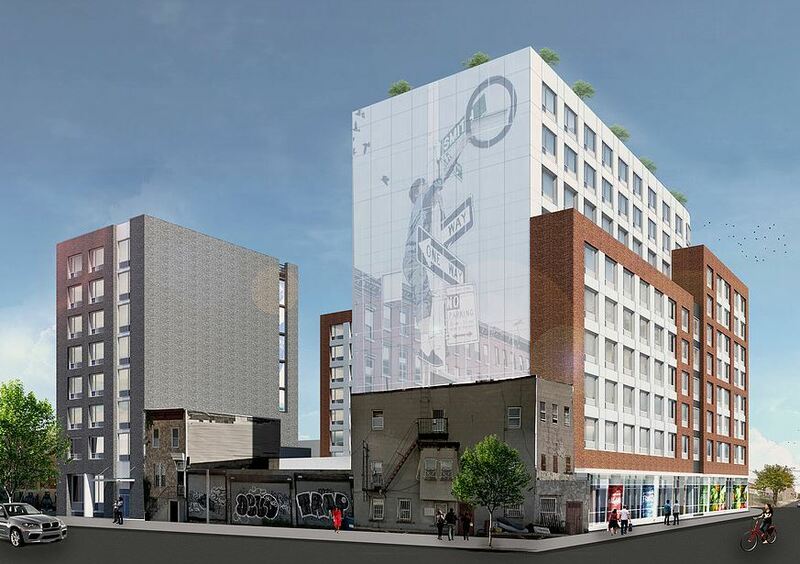 The approved development will consist of a 14-story building fronting on Atlantic Avenue with 235 affordable residential units with the aforementioned commercial/facility space on the ground floor. Part of the new building will only rise to six stories high. 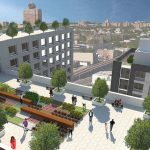 The commercial space will contain a grocery store, an aquaponics education center, an art gallery, a neighborhood resources center and a facility run by Urban Pathways to support residents transitioning from homelessness. 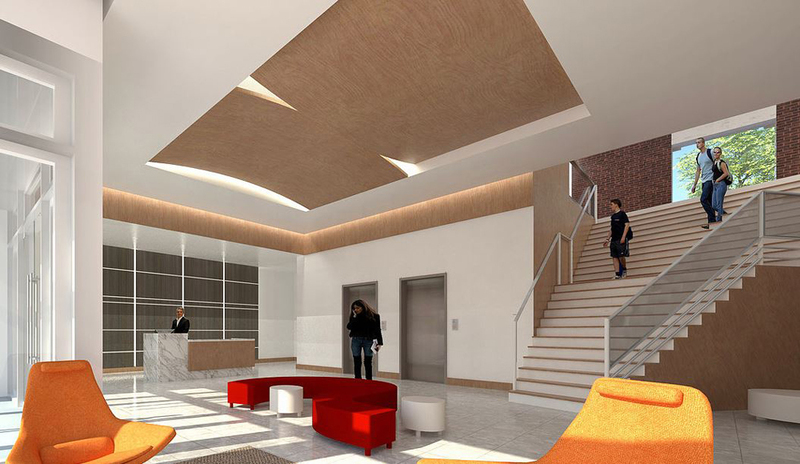 Serving the new building will be 44 parking spaces and 108 bicycle parking spots. Funding is coming from HPD’s Extremely Low & Low-Income Affordability (ELLA) Program which requires projects have a minimum of 70 percent of units set aside for low income rents affordable to households earning up to 60 percent AMI, with as many as 30 percent being affordable to moderate income households earning up to 100 percent AMI. At least 10 percent of units must be set aside for formerly homeless residents. 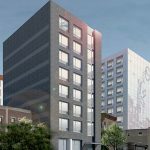 Expected rents will range from $251 for the formerly homeless to $2,096 for the units capped at 80 percent of AMI. 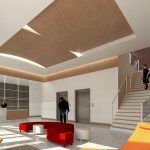 Construction will adhere to the Enterprise Green Community Standards and will feature a variable refrigerant flow system, efficient appliances, rain water treatment elements, water sense labeled fixtures, and water monitoring to detect plumbing leaks. Triple-glazed windows will minimize noise from the nearby LIRR. 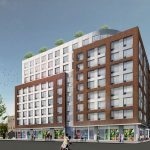 On January 7, Brooklyn Community Board 3 voted unanimously to approve the application, which will now proceed to the City Council for a review and approval process. 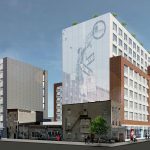 The project is among those listed on the Minority and Women Owned Business Enterprises (M/WBE) Building Opportunity RFP under Mayor De Blasio’s plan to encourage minority and women business owners to develop vacant, city-owned sites in Brooklyn, the Bronx, and Manhattan to create 100 percent affordable housing. 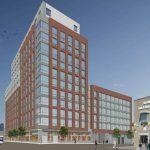 Renderings of 1921 Atlantic Avenue via Dabar Development Partners.